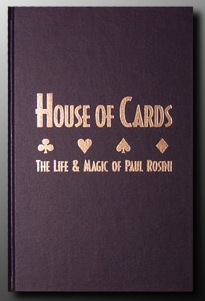 I just saw over on Chuck Romano's website that he found 'a stash' of his great book on Paul Rosini called HOUSE OF CARDS-The Life and Magic of Paul Rosini. This book is a real gem. 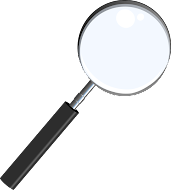 The first 101 pages is the biography of Paul Rosini. The next 100+ pages is the magic of Rosini. What's great about this is you really get to understand him as a performer through his choice of material. 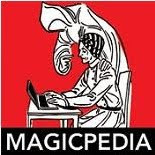 And then as an added bonus there is a reprint of Paul Rosini's Magical Gems by Rufus Steele, which runs about 67 pages. A total of 320 pages on the incredible Paul Rosini. I paid $35 for the book when it first came out. Chuck is selling these for $17. Get them while you can! Click the link above to head over the Chuck's site!